I received a Semogue 730 HD yesterday and I was looking at it and something seemed different about it, but I couldn't place my finger on it. 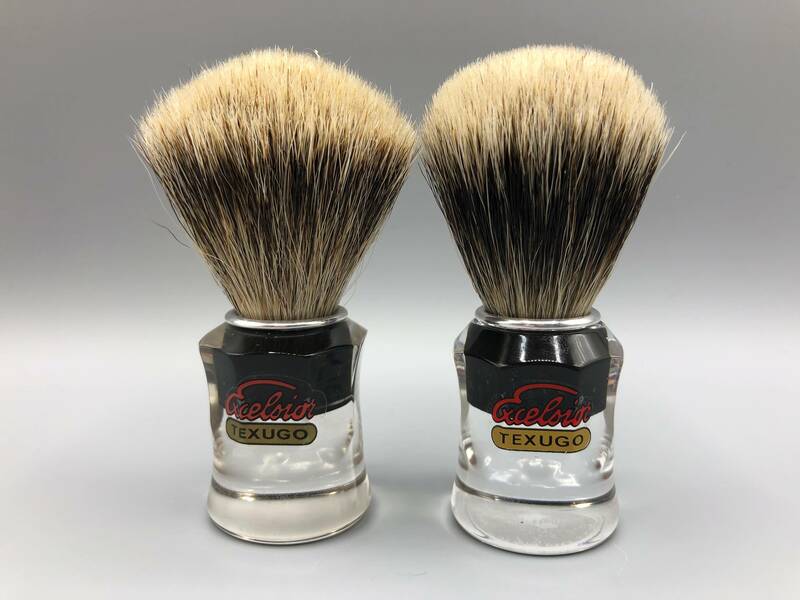 I today was putting the brush away with my Semogue 730 and was about to walk away when again it hit me something seemed off. I looked at the two closely, and it finally occurred to me that there was indeed a slight difference in the 730 HD I just received. Just the steeper shoulder angle? Both are pretty brushes. Interesting. The 730 handle has the old familiar shape, the new HD looks like it has a slightly streamlined handle. I wonder if they feel much different in the hand. I have to say that I prefer the old shape, but it could just be that getting used to a new shape often takes a while. 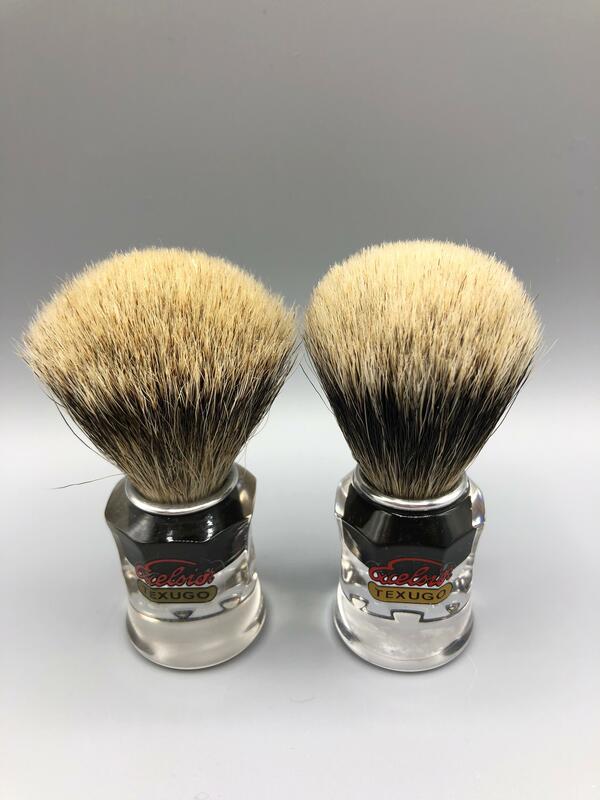 No break in on either brush; both of them are brand new. 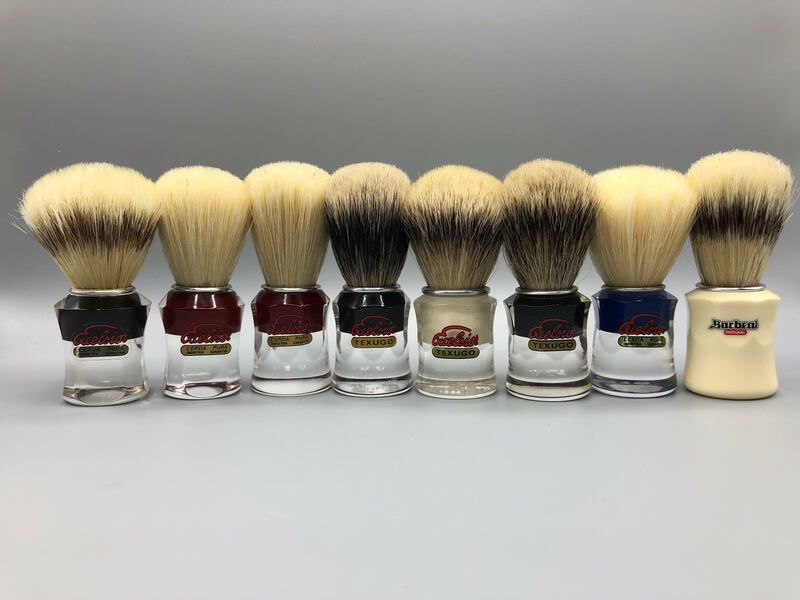 The 730HD shipped in the new Semogue brush box instead of the previous round plastic tube the brushes shipped in. As a result the 730HD knot is much more compacted not having the breathing room the 730 had. The difference as noted is indeed the steeper shoulder angle. I've always liked the older style handle, but I can see this new style growing on me. Trying different hand grips the only grip that has a discernable difference of feel is when gripping the top near the knot with the fingers. You can feel the slanting down now of the 730HD vs the 730. There is just an oh so slight difference in the height. The 730 measures 45.7mm tall with a smaller metal ring. The 730HD measures 47.2mm tall with a larger metal ring. There's been some changes over the years. I didn't even spot the change on the 620 and 610 until after rounding up the clear handled Semogues, and even with the older 680 model. Only the 620, LE 12, and Custom Boar have been used currently. kooshman7, thanks for sharing that great photo, along with all the good information! No problem. It was something interesting to me and I figured a few other people might get interest out of it. I just happen to have a bunch of these, and figured I could share.